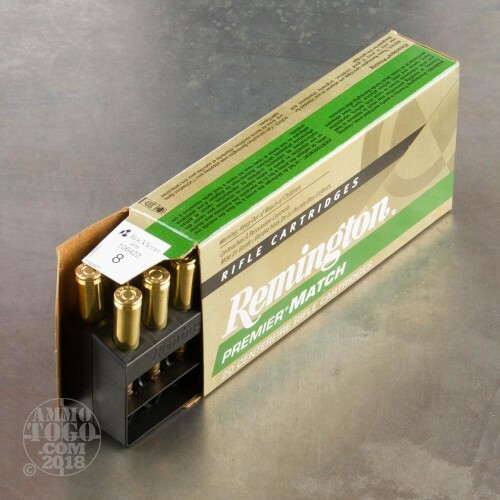 Turn your AR-15 into an impressive tack driver with this 223 Rem cartridge from Remington’s Premier Match line of ammunition! Its 62 grain match projectile has an exceedingly concentric jacket that is drawn around a uniformly dense lead core. As the result this bullet won’t spin out of its flat as a board trajectory, letting you reliably peg small targets far downrange. This bullet further features a narrow meplat, which is a hollow point in order to prevent wind from deflecting it off course. 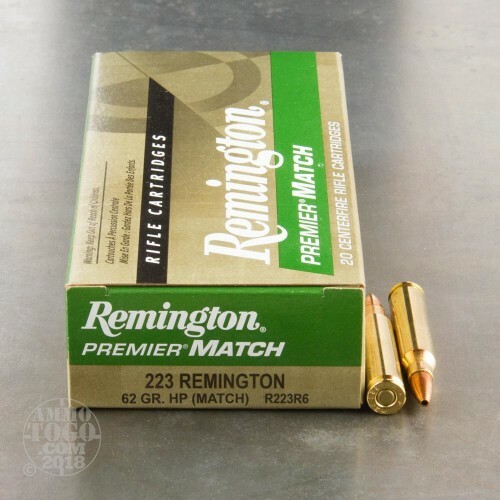 Despite its appearance, this is not an expanding bullet. 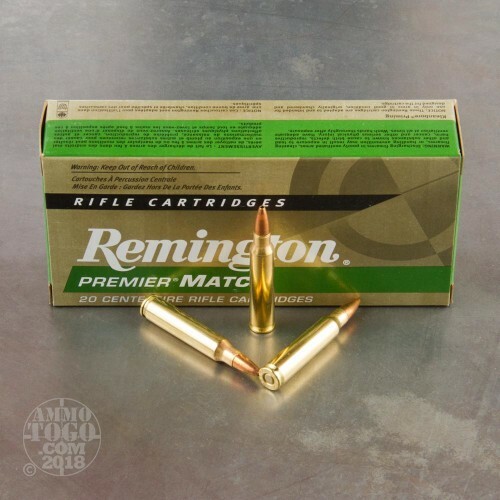 Remington complements their accurate projectile with a high quality casing that feeds without issue, and which is made of brass to satisfy the handloading enthusiast. 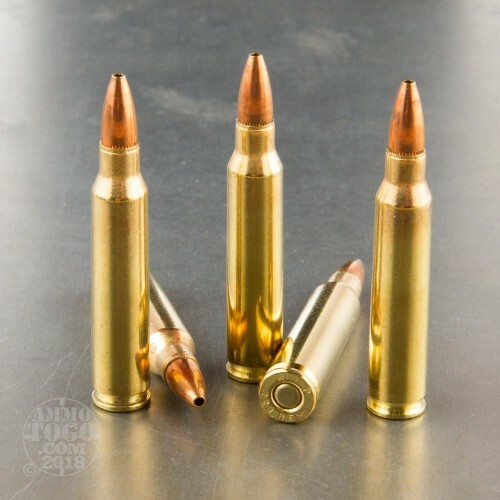 This round’s propellant has been carefully measured to guarantee that each shot achieves a fast and reliable 3,035 fps muzzle velocity, and its non-corrosive primer will protect your rifle’s action from wear and tear.